Once upon a time, a monster hit like The Conjuring, James Wan’s dubiously fact-based but highly effective spin on the haunted-house movie, would have inspired a series of lesser sequels and nothing more. But we’re living now in the age of the expanded universe, when franchises don’t follow a single forward path, instead stretching outward in multiple directions like the gnarled branches of the spooky tree on the film’s poster. The latest extension of the brand is Annabelle: Creation, a prequel to the spin-off they already made about that unholy plaything with the pigtails, pallid complexion, and unnervingly large peepers. Earning its shared-universe keep, the film finds a way not just to tie itself back to the two movies that spawned it, but also to plant a small seed for one of two other spin-offs on the way by randomly alluding to that spectral nun from The Conjuring 2. Will these ghastly attractions be forming some kind of Avengers-style supergroup? The Boo Crew, perhaps? Honestly, all that interconnected mythology is easy to ignore. What matters is that Annabelle: Creation, much more than its immediate predecessor, adheres to the bump-in-the-dark horror fundamentals that made The Conjuring such a good time and a gold mine. Connecting all of these ghosties and ghoulies to each other ultimately proves a secondary concern. Creation would rather stand hairs on end and send popcorn flying—and it does both better than any movie in this multi-part series since Wan set the whole thing in motion with a petrifying clap from the darkness. There’s a seemingly innocuous spin on hide-and-seek here, too. It’s a game doll-maker Samuel Mullins (Anthony LaPaglia) and his wife, Esther (Miranda Otto), play with their young daughter, until a freak accident cruelly takes her from them. Twelve years later, the bereaved parents open their home—a giant house on a hill, surrounded on all sides by golden acres of farmland—to a nun (Miss Bala’s Stephanie Sigman) and six orphan girls ranging in age from maybe 8 to 17. 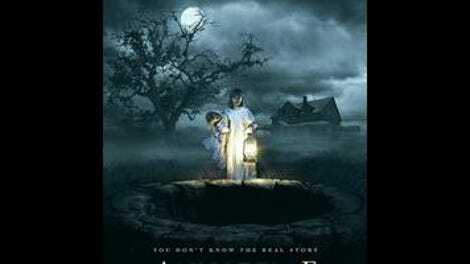 When Janice (Talitha Bateman), who’s mostly lost the use of her legs to polio, comes across a familiar doll squirreled away behind a locked door, the usual paranormal parlor tricks begin in earnest. It’s hard to say why someone thought Annabelle required an additional origin story, given that the last film pretty sufficiently explained how she went from merely creepy (and inanimate) to actively malevolent. (Somehow not clarified here is why this Mullins fellow would ever make a doll that looked so damn hideous in the first place. Giving kids the willies can’t be good for business.) But Creation, set in a quiet and picturesque stretch of 1950s America, is a much more elegant affair than the cheap, mean, sporadically nerve-wracking Annabelle. The approach this time is closer in spirit to Wan’s, down to an early scene that lays out the layout of the house’s ground floor through one single shot, following the girls through the property to acclimate us to the space. Behind the camera this time is David F. Sandberg, who made last summer’s inventive (if problematic) horror sleeper Lights Out. Slow playing the impending danger during the atmospheric opening stretch, Sandberg sets up his scares far in advance, introducing elements and tools that will come in diabolically handy later: a rope-operated elevator that hangs over a pit of darkness; a stair lift that looks like it could crap out at any time, especially an inopportune one; the bell that Esther, now confined almost entirely to her bed, uses to summon assistance. He’s got a good eye for a haunting image—like one involving two teenage girls under a sheet with flashlights—and a better sense of timing, knowing just how to work an audience’s nerves by prolonging the pocket of deathly silence before a jolt, until it’s impossible to guess exactly when that pasty hand will come shooting out of the shadows. Like the Conjuring films, Annabelle: Creation is a symphony of cheap tricks; its scares are strictly of the funhouse variety, not the keep-you-up-for-days kind, but they’re executed with precision and panache. Sandberg stays on model, adhering to the franchise’s mandatory Catholic framework, though that stuff feels more perfunctory than it does in Wan’s earnestly religious films—here, it mostly just justifies scenes like the one that nightmarishly twists back some fingers holding a crucifix. These movies are almost always more effective during the escalation portion of the evening; by the last act, they all turn into The Exorcist on steroids, bombarding the audience with lots of sound, fury, and special effects. Still, Sandberg makes the most of his adopted formula, using it as a good excuse to try out some new techniques, to the point where Annabelle herself becomes almost irrelevant. Certainly, Creation has more fun with a suspiciously mobile scarecrow the girls stumble upon. But will his barnyard shtick sustain the whole spin-off the Conjuring team will inevitably conjure up for him?